The Bar Towel is hitting the road next week to the annual Craft Brewers Conference (CBC), the major industry event for breweries, brewpubs, distributors and trade organized by the U.S.-based Brewers Association. The CBC has grown dramatically in the past number of years (at least from our viewpoint here) to an event where many Canadian brewers head to, making it in many ways a significant Canadian craft brewer meetup as well. The CBC offers a great deal for a brewery, especially one from Canada. The event is chock-full of seminars about the business of brewing – operations, government affairs, packaging, marketing, sustainability, technical process and others. Although the seminars are primarily skewed towards a U.S. audience, the content is just as relevant for a brewer in Canada, and in many ways more so in order to learn from the U.S. Since the U.S. is ahead of Canada in craft beer maturity, the conference can give brewers critical learning and insights as our marketplace continues to grow and evolve. But as much as the CBC is about learning, it’s also about socializing and networking. It’s in effect a city-wide insider-only beer festival, with local breweries and bars hosting the thousands of attendees with special events, tastings and dinners. 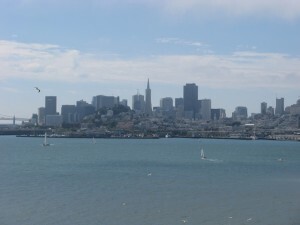 And this year the host city couldn’t be a better one: San Francisco. 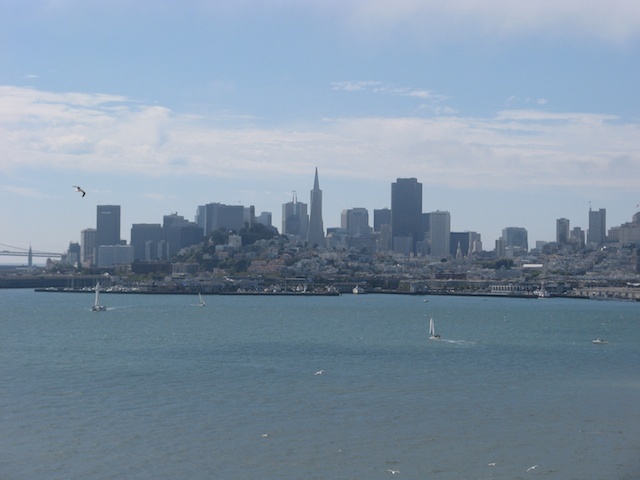 San Francisco (and the surrounding area) is one of the great beer destinations in the U.S., with top-notch beer bars, restaurants, brewpubs and breweries getting geared up for the pending arrival. Thursday, March 24, 9:15am. The conference kicks off with a series of keynote speeches, highlighted by a conversation with Fritz Maytag and Ken Grossman. These gentleman are legends in the business – Fritz being the former owner of Anchor Brewing and Ken the founder of Sierra Nevada. 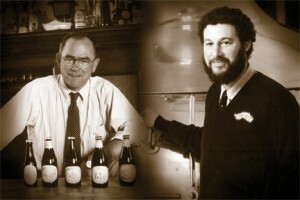 Craft beer wouldn’t be what it is today if it wasn’t for these guys, and no doubt their stories will be fascinating. Thursday, March 24, 4:20pm. This panel includes Jim Caruso (Flying Dog), Greg Koch (Stone), Ron Lindenbusch (Lagunitas) and Doug Odell (Odell) and they will discuss export opportunities and challenges for U.S. craft beers. It will be interesting to see if they touch upon the perception (often based in reality) that U.S. breweries have of dealing with Ontario and the LCBO. Friday, March 25, 4pm. In what will definitely be a packed house, Vinnie Cilurzo of Russian River moderates a barrel-aged sour beer discussion with Yvan de Bates of Brasserie de la Senne and Jean Van Roy of Cantillon. Barrel-aging is as hot as anything in the brewing world and the Belgian perspective will be incredible. Saturday, March 26, 9:30am. California is arguably the birthplace of the modern craft beer movement, and this discussion is with one of its fathers, Jack McAuliffe of New Albion Brewing. In a conversation with Renee DeLuca and Maureen Ogle they will look back at the start of New Albion way back in 1976. Saturday, March 26, 10:50am. This panel, hosted by Larry Sidor of Deschutes Brewery, promises to discuss unusual ingredients and techniques to take beer “Beyond Hops and Malt”. As our beers in Canada get more aggressive with their ingredients it will be interesting to see what’s working well for Deschutes and others. Saturday, March 26, 2:10pm. This panel, entitled the “Green Brewery Project” is a discussion of the findings of four masters students of the University of Michigan intending on reducing the ecological impact of the Corner Brewery. Green is always relevant and this should be quite interesting. Friday, March 25, 2:40pm. Breweries are a capital-intensive business. In this seminar Brock Wagner of Saint Arnold discusses how he raised $2 million for his new brewery. A good complement to this is Thurday, March 24, 1:40pm, where Andrew Leager of Boylan Bridge talks about the start-up procedures for hopeful brewpub owners. Saturday, March 26, 10:50am. In another start-up talk, Matt McClung of Schooner Exact talks about beginning as a ‘nanobrewery’ before transitioning into a full-fledged microbrewery. As we’re seeing more and more breweries starting up very small to test the waters Matt’s experience will be informative. There are dozens more seminars and talks over the three-day conference that touch upon all kinds of other topics in the brewing industry. The days of the conference look to be highly educational and informative and we’ll recap some of the best ones on The Bar Towel. With all this discussion at the seminars, it will make the participants very thirsty, and luckily there will be lots of opportunities to sample local brews. In Part 2 of our CBC Preview, we’ll cover some of the great beer spots in San Francisco where brewers will imbibe in some of the best the local brewing region has to offer. Watch out for this later in the week. The Craft Brewers Conference is taking place March 23-26 at the Hilton Union Square in San Francisco, California. Registration is now closed, but you can follow The Bar Towel for updates throughout the conference. If you’re coming to the conference let us know in the discussion forum as many Canadians will be meeting up.